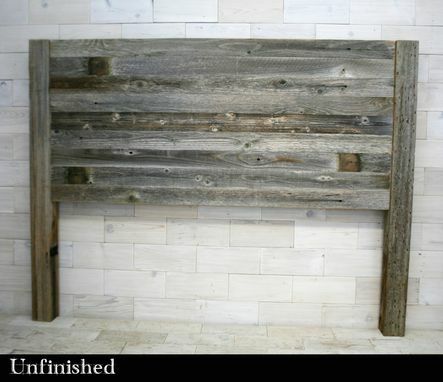 Our Barn Wood Horizon Headboard with Posts is a fantastic feature to create a rustic focal point in your room. The headboard is lightweight and assembles easily; this design allows the piece to easily attach to the wall or bed frame. You can purchase this item unfinished so that you can add your own color or finish, or with a clear finish which highlights the wood's character. 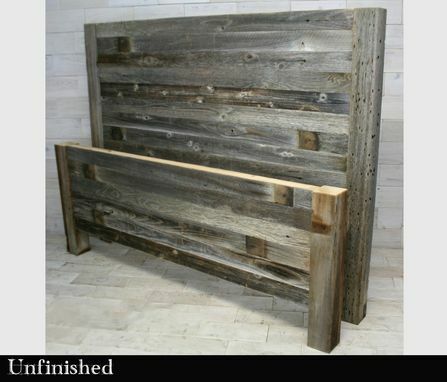 ◊ The headboard is 48" tall and available in King, California King, Queen, Full and Twin sizes. ◊ The posts are 3.5" x 3.5" x 48". ◊ The panel is 27" tall and made up of 1/2" thick x 3" wide boards which extend the full width of the panel so there are no end joints. ◊ If you select the "unfinished" option we will sand and prepare the wood, but not apply any stain or finish. 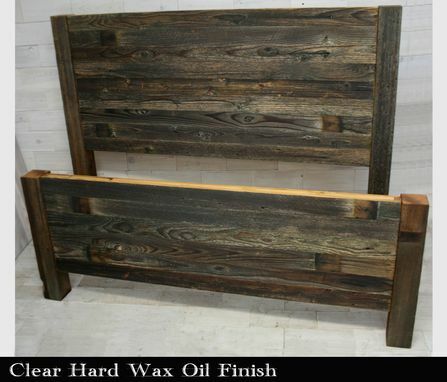 ◊ If you select the "clear finish" option we will apply an all-natural Clear Hard Wax Oil finish which will protect the wood from wear and stain, help protect you from splintery stuff, and enhance and darken the color of the wood. ◊ The wood will have color variations, nail holes and other character associated with reclaimed wood; all of the distressing is natural. ◊ To place an order or get a price quote just send us a message with the bed size, your finish selection, and if you want just the headboard or if you want a footboard along with it. And then we will get you a proposal.